Do you enjoy eggs as much as I do? Try this Simple yet awesome tasting hard boiled eggs. This is so easy to prepare. Boil the eggs the night before, store them in the fridge and they are ready to go the next day. 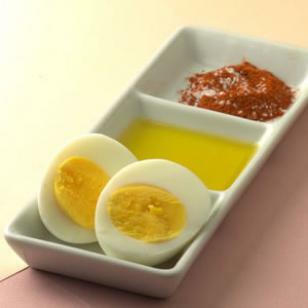 Dip egg slices in oil and sprinkle with salt and paprika.